Trying to figure out whether you should get the Vitamix 5300 vs the 6500? An easy to follow chart with all the important features of the Vitamix 5300 and 6500. 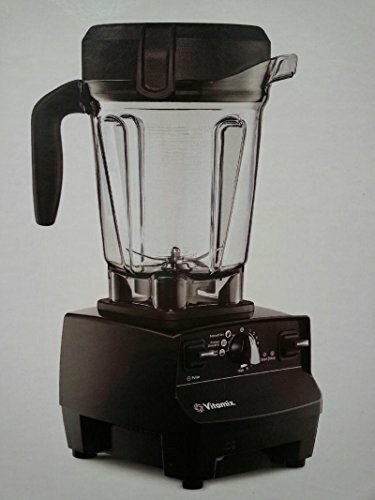 Which one you should buy based on our 7+ years of blending with the Vitamix brand. If you're on mobile, you can scroll from left to right. Both the 5300 and 6500 come with a 2.2-peak horsepower motor. When it comes to Vitamix blenders, this is on the high-end. Most of the previous models have a motor that's either 2-peak horsepower or even slightly lower if we go years and years back. When it comes to real-life application, this motor will be able to handle anything you want. ...And much more, is all possible. It was easy enough with the less powerful motor Vitamix blenders, but the slight upgrade makes it that much easier and smooth. There's no clear winner here, either way you get a great machine. The interface between the 6500 and the 5300 is the major difference between the two. While they both have pulse buttons, you'll notice that the 6500 has settings on it's variable speed knob: Smoothies, Frozen Desserts and Hot Soups. These settings function like a "set it and forget it" type deal. Once you start the blender with these settings on, it will perform a preset cycle depending on which one you set it to. As you might imagine, the soup is going to be the longest because it needs to build up friction to warm up the ingredients. Either way, this type of functionality is nice if you have set recipes that you're making over and over again. Say you've got limited time in the morning, you can put in your set smoothie ingredients and let it run while you do something else. However, I've always begged the question: Is it really necessary? Personally, I've never felt the need to use a setting when I was blending something. I'd rather control the process myself. 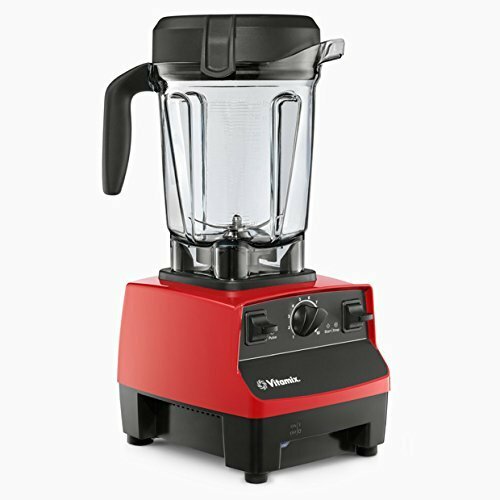 Even though the 5300 doesn't have all of those settings, you can still make the same exact smoothies, frozen desserts and hot soups. Once you get the hang of how to use a Vitamix, it becomes easy and second nature. However, if you're a beginner, it may be worth considering getting the programmed cycles and getting your feet wet with set recipes rather than just winging it. Both of these blenders come with the same style jar: the low-profile 64-oz. Most people will say that the low profile jar is superior to the Classic jar, which is also 64 ounces, but around 3 inches taller. The advantage is that it's great for doing large batches of ingredients since it's got bigger blades and a wider surface area. Both can process around the same amount, it's just that the lower-profile container is better. However, the Classic container excels when you're doing smaller batches. Since there's a narrower space at the bottom, it has an easier time forming a vortex whereas the liquid wouldn't move far enough past the blades if you were using the wider container. But keep in mind, you can always get a smaller jar from Vitamix that's compatible with either the 5300 or 6500. Many people will get a 32 ounce jar for doing small/single serve smoothie batches and that's what I would recommend as well if you find that the container is too big. Check out all the containers that Vitamix offers here. One area where the Vitamix 6500 excels is that it has a wide range of color options. They can be hard to find, but we managed to find a few of them online at Bed Bath and Beyond. Just in case you want a platinum-colored blender! Both the 5300 and 6500 come with the same low-profile tamper. It's one of the best features that the Vitamix offers. Rather then having to stop blending, all you need to do is use the tamper to push the ingredients towards the blades. It couldn't be easier to make thick smoothies, nut butters or anything else where things kind of get stuck at the top. As with all Vitamix models, aside from the refurbished and Ascent, you get an excellent 7-year warranty. With the Vitamix warranty, you never have to worry about something going wrong. They're really good about fixing things. Most people I know have also owned their machines far beyond the 7 day warranty period. I know someone that has a 10 year machine that's still going strong. With either the 6500 or 5300, you still get the same great warranty! As you can see by the comparison chart, there aren't many differences between the 6500 and the 5300. The main differentiator is that the 6500 comes with the pre-programmed (hot soups, frozen desserts and smoothies) settings and the 5300 does not. In my opinion, it's not necessary to pay more for them. Call my old-school, but I blend things at least 2 times per day and have never felt the need to have the blender do it automatically. You can make all the pre-programmed blends manually with very little hassle. So because the 5300 has a lower MSRP (and you can usually find it cheaper) - that's the one I would get. Or check out our comprehensive guide on blender types and the best ones to buy.